Fatah Central Committee Secretary Jibril Rajoub uses trip to Israel to visit family of terrorist who kidnapped and murdered soldier. 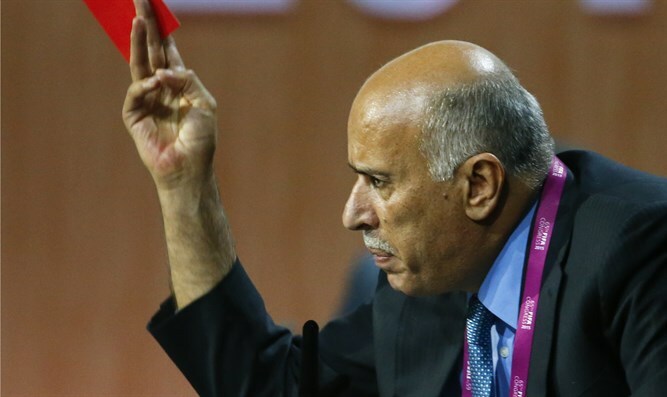 Fatah Central Committee Secretary Jibril Rajoub exploited his entry to Israel around two weeks ago in order to visit the family of terrorist murderer Karim Younes, Palestinian Media Watch reported. In a post on his Facebook page, Rajoub took pride in having visited the murderer's family in the village of 'Ara, and he posted pictures of himself with the family members. Palestinian Media Watch checked and found that the Israeli Coordinator of Government Activities in the Territories had not approved Rajoub's visit to the murderer's family. In the 2015 terror wave, Rajoub explicitly incited for terror attacks and acts of murder, and he called the terrorist murderers "heroes... a crown on the head of every Palestinian." This year the Fatah Movement appointed murderer Karim Younes to be a member of Fatah's central committee.